Hailing from the USA, Skechers deliver quality footwear of many types, especially trainers. It designs, develops and markets a diverse range of casual footwear for trend-savvy men, women and children. It meets the needs of male and female consumers across every age and demographic. 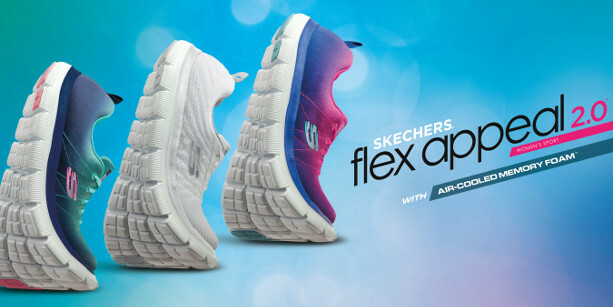 Established in 1992, SKECHERS USA, Inc., is based in Manhattan Beach, California. If you have any queries feel free to contact our friendly, professional staff via our contact page. When you order with Shoes International, you get free delivery in the UK and the protection of our price match promise.